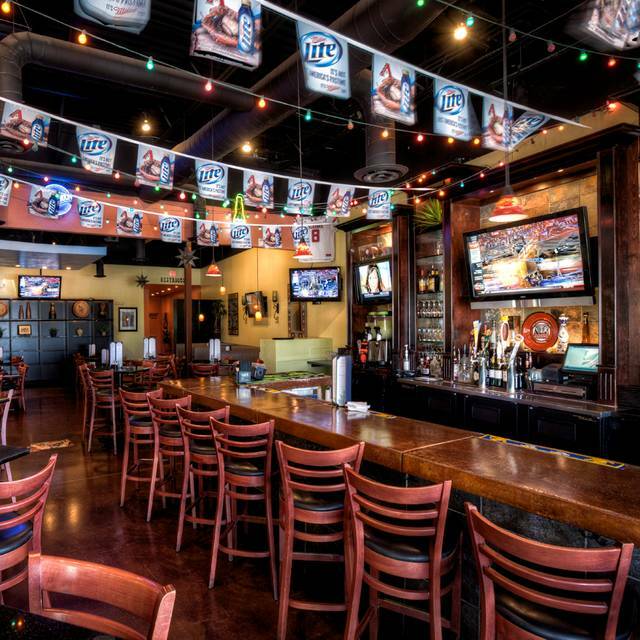 The Blue Agave Mexican Cantina is a neighborhood restaurant in Phoenix, Arizona that combines the lively atmosphere of a sport’s bar with the comforting flavors of traditional Mexican fare. 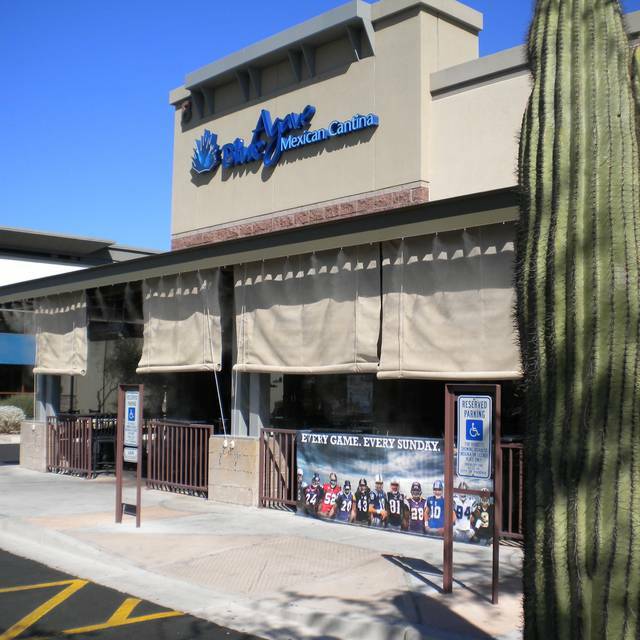 The bar at Blue Agave Mexican Cantina serves specialty margaritas, such as the Saguaro Blossom, made with pineapple juice, jalapeno and elderflower syrup. Guests can also enjoy a variety of beers, wines and other mixed drinks. 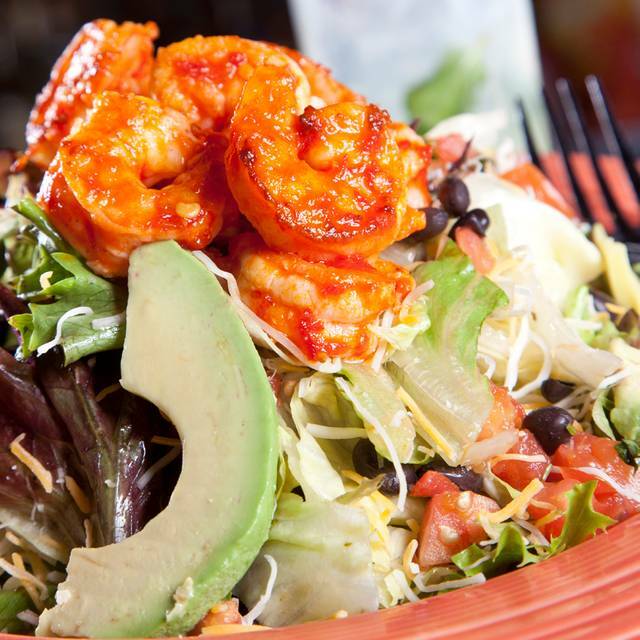 The menu at Blue Agave Mexican Cantina is filled with all your favorite Mexican dishes, and each item is marked to indicate spiciness. Try the very spicy kettle carne to start, a jalapeno steak sandwich or the Oaxaca chicken tacos. Dishes such as enchiladas, burritos and nachos make it easy for everyone to find something to love. Excellent service.Were able to visit and talk. Not too loud there. Everyone enjoyed their food. Couple people that had the same item, however, ended up not feeling well that night. We’ve been there before, thinking this might have been a fluke. The atmosphere was nice but the food was bland and the service wasn’t great. Our appetizer was put on our table without plates and no one asked if we needed anything. The 2 minutes later the main meal was served with the app still be shared. Pretty good food but not great. Good sized helpings with fresh tasting ingredients. The bowl was good sized and very tasty. One of the better tostadas I've had. Salsa was just the right level of spiciness. Service was prompt but not overly present. Good value. Too loud for my taste. This was my first time here and it was an absolutely delicious experience! The New Mexican roots were jumping for joy! Marvelous experience and service by Andre. We will return. Great tacos and carne asada! Excellent margaritas! Cute place! We were looking for a great place to eat while in town. Food was awesome and we will defiantly be back when in town. This is one of my favorite places to eat!! I would recommend this restaurant to anyone wanting a relaxed atmosphere with great food. The food was very good! I had the steak salad - it was delicious! The only downside was that the service was a little slow. It was also very loud - which didn’t really bother me that much but some of my companions are hard of hearing so it made conversation very difficult. Better than average Mexican with great fish tacos. The food was really great and the wait staff was very nice and helpful. We had a great time. We enjoyed this restaurant. Food was decent. We really wanted Mexican and appreciated it's close proximity to the Harkins Cine Capri where we were headed to a movie. Staff were great about getting us in and out quickly! So far in Scottsdale and 101 area- this is a pretty good Mexican restaurant. Good for a quick meal when you feel like Mexican! Excellent value! Nice friendly staff. Diner atmosphere rather than evening restaurant. Great neighborhood restaurant with high quality food & service. Love their “queso” appetizer, always a must when I go. Really tasty dishes all around & love the salsa. Can’t go wrong with any of the enchiladas, fajitas, and shrimp quesadilla. My goal is to try something new each time because they have an extensive menu. Loved the spicy shrimp salad and the pork appetizer is amazing! We really enjoyed the food. Service was slow although food came relatively quick once they took our orders. Good food. Our waiter was super friendly, funny and helpful with menu choices. Not a real quiet place but not over-the-top loud either. Food was good but extremely casual, not a place to go with friends for a nice dinner out. What a fun little spot! Excellent service and food. Casual, comfortable with lots of TVs — the Diamondbacks were on when we were there. But not rowdy or loud. Brought the whole family — grandma and kiddos — and had a great evening. Food was good, I'd try something different next time. Their signature dishes are spicy which was disappointing. I know its Mexican but the menu even denoted that they are considered very spicy. I got the chimichanga with the sauce on the side and it wasn't the same as it probably should have been. We got the dip trio, guac/queso/beans, and it was really good. The restaurant is a little dark for my liking. I will definitely go back though. Whenever we are in the area we make sure to eat here. Food was incredible. Service was great. Drinks were amazing. Overall, a phenomenal experience and I’d do it all again! And the prices were that bad either. Great food & attentive service. First time dining in and will definitely be back. They have happy hour on Saturday. 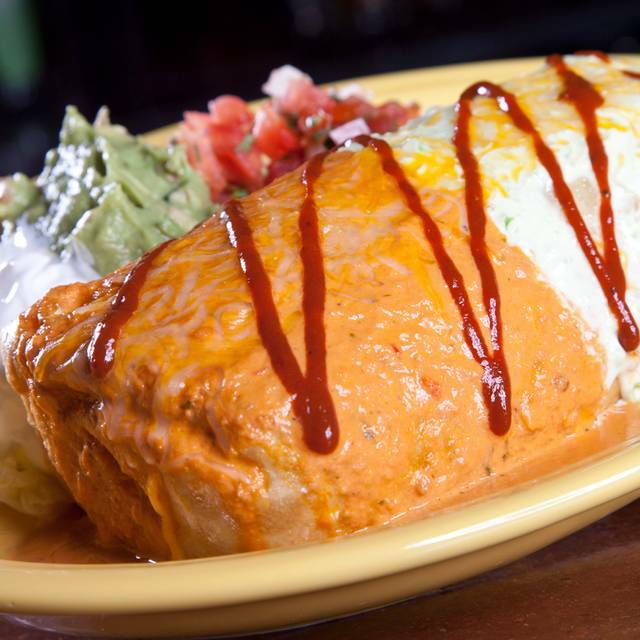 In our opinion, the Blue Agave has the best Mexican food in Phoenix. It is plentiful (Plan to bring a "doggie bag" home!) The service was friendly and efficient. We saw several tables with families and kids who seemed to be enjoying themselves. 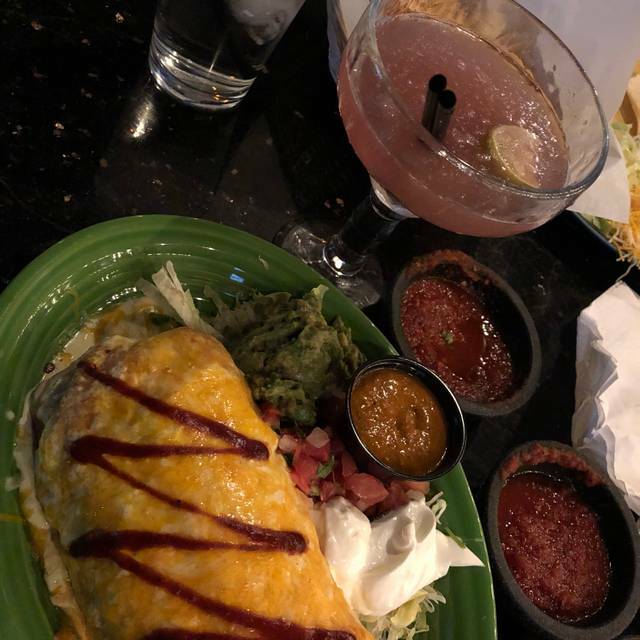 The chimichangas cannot be beat and the shrimp salad is a close second. 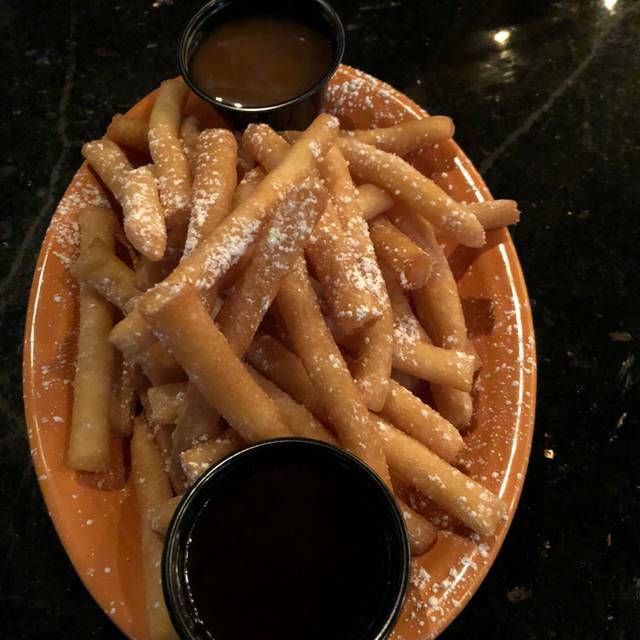 My husband had the chicken fritas which he loves. Our new go-to Mexican restaurant. Very good food and always a very reasonable bill at the the end. Friendly, helpful waitstaff. Only problem was that the outside tv was synched to one inside and someone inside wanted to watch hockey. 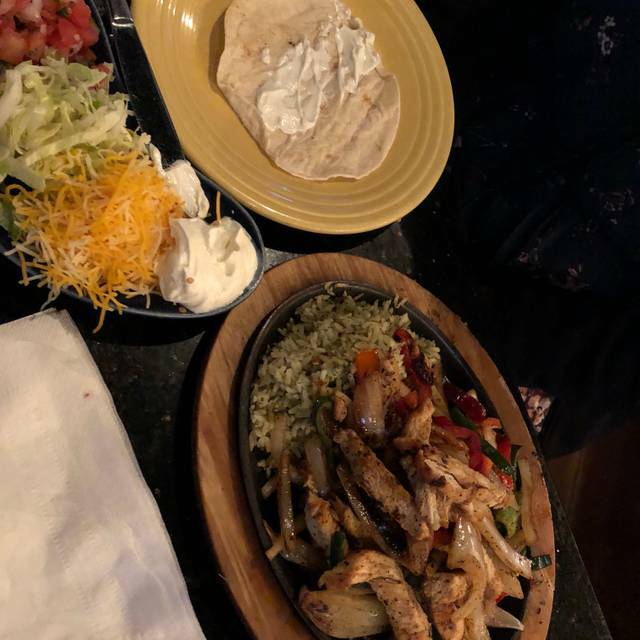 We had Chicken Fajitaa and they were great. Traveling with a friend that needs gluten free food. Our server made sure everything was prepared as needed. When she wasn’t sure she went and checked with the chef. She even gave us good choices without cilantro. Good food. Our waiter was fantastic! My friend and I thoroughly enjoyed our dining experience and I will definitely return and tell my friends. The food was good.....the value or what we paid for the food was incredible....at least in my experience. Service was fine....not great. I would recommend for others as we were more than satisfied. The grilled fish tacos are awesome. The service was excellent. The prices are moderate but if u can get a living social it’s well worth it.